Stepping through the door of this traditional tea room in the centre of Brighton has been a complete delight to me for over 20 years now. For as long as I can remember, despite changes in ownership and expansion into the next building over, The Mock Turtle has fulfilled the same role in the Brighton cafe scene - it was doing twee before 'twee' was in style, darling! My parents would take me here when I was little, for a treat of toasted teacakes - I continued to visit through my teenage years, and still make an effort to stop off for a spot of tea whenever I'm in Brighton because it is just such a pleasure to eat here, even now! 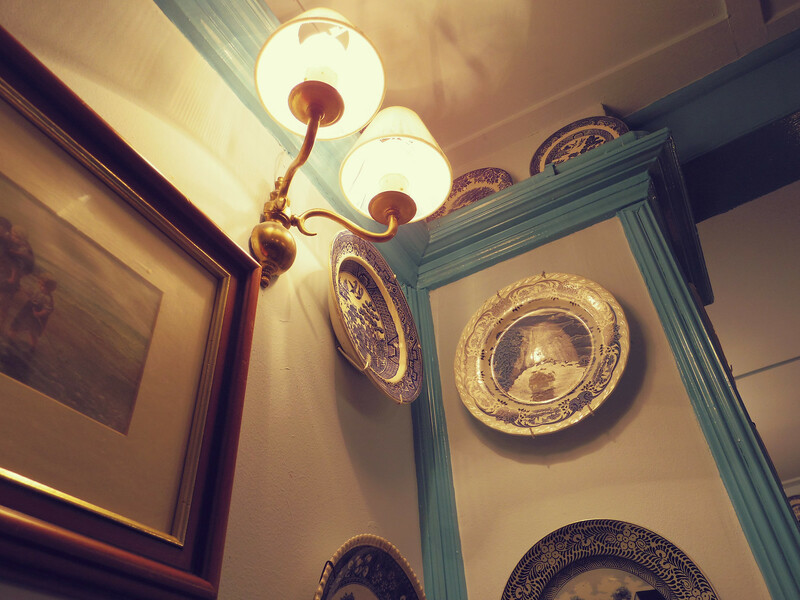 The crowded, mismatched decor and super-antique atmosphere in the Mock Turtle should not fool you into thinking that the service and the food are anything less than top notch here. There's a vast array of freshly baked cakes, pastries and scones on the menu, as well as tasty lunch snacks such as Welsh Rarebit (which is a gooey, fonduey cheese mixture on toast, in case you've not heard of it before) and cooked breakfasts. Dan and I shared a deliciously traditional Welsh Rarebit (which we greedily wolfed down before we had a chance to photograph it) before indulging in a cream tea for dessert. 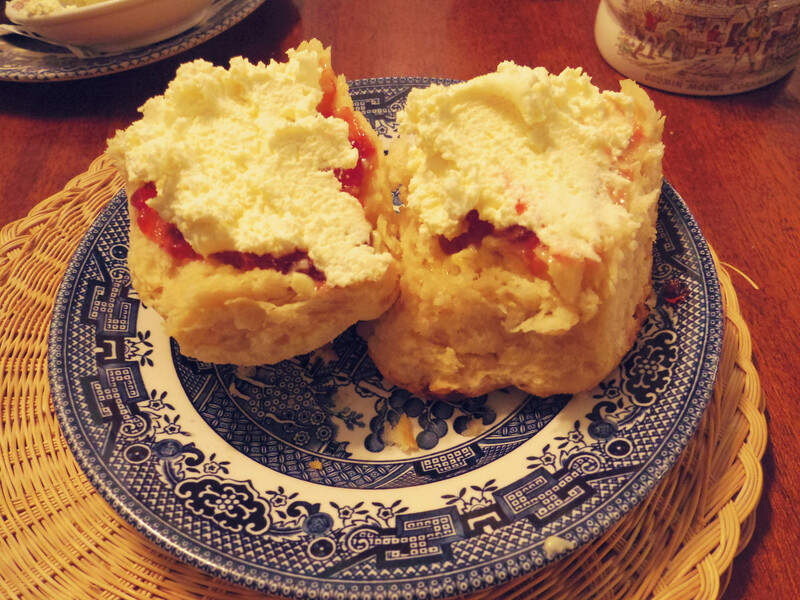 We thought that we'd do a very scientific experiment and decide once and for all, which kind of scone is best, out of the Devonshire and Cornwall styles. 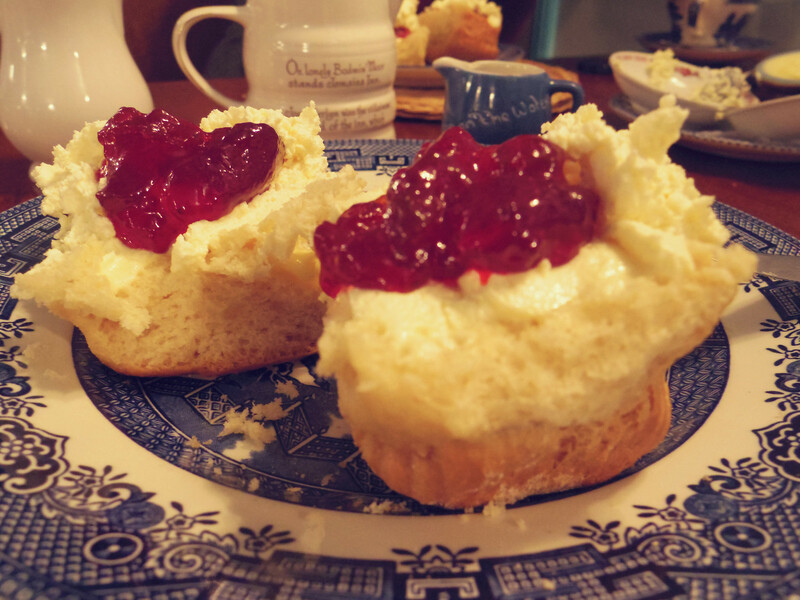 There's an age old friendly (I think it's friendly anyway) rivalry between Devon and Cornwall regarding the correct way to assemble a scone with jam and cream. 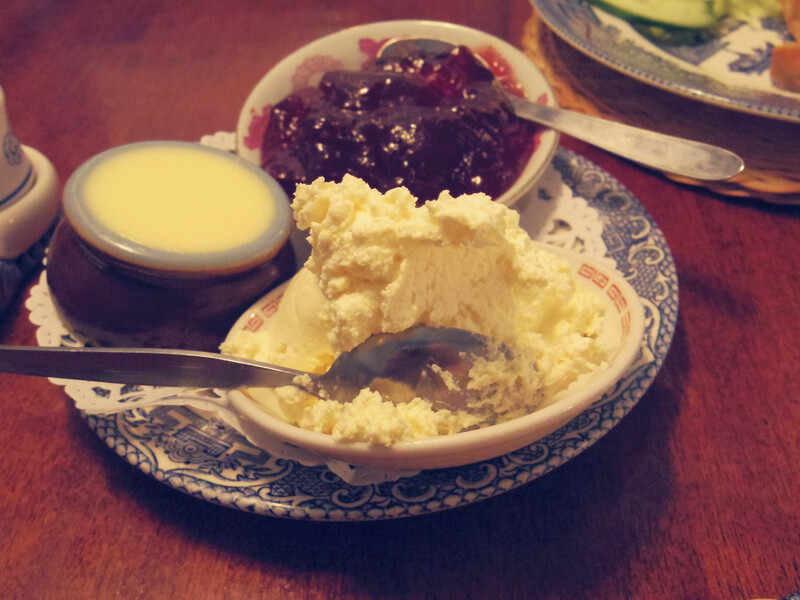 In Devon, they put the clotted cream on the scone first, followed by a dollop of jam, whereas in Cornwall, the jam is spread on the scone first, and then a thick layer of cream is liberally applied on top. Dan prefers the Devon method and I prefer the Cornwall method, so I can't say we came to any particular conclusions in our experiment! 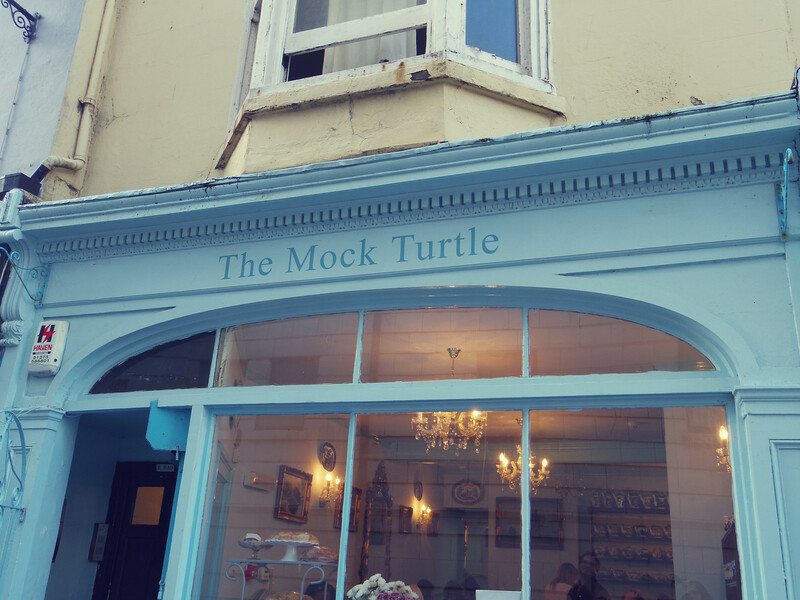 I'd really recommend visiting The Mock Turtle cafe if you're ever in Brighton. I've loved it since I was a child, and I'm clearly not alone, as they've expanded into a much bigger tea room recently. The prices are still incredibly reasonable (doubly so if you're used to sky-high London prices) and you get fantastically generous portions. You can find the Mock Turtle on Pool Valley in Brighton (BN1 1NJ). Let me know if you ever visit this tea room because it'll make me so happy! Which type of scone do you prefer? Devon or Cornwall? And if you're not from the UK, exactly how ridiculous does this rivalry sound? Is there anything similar where you're from? 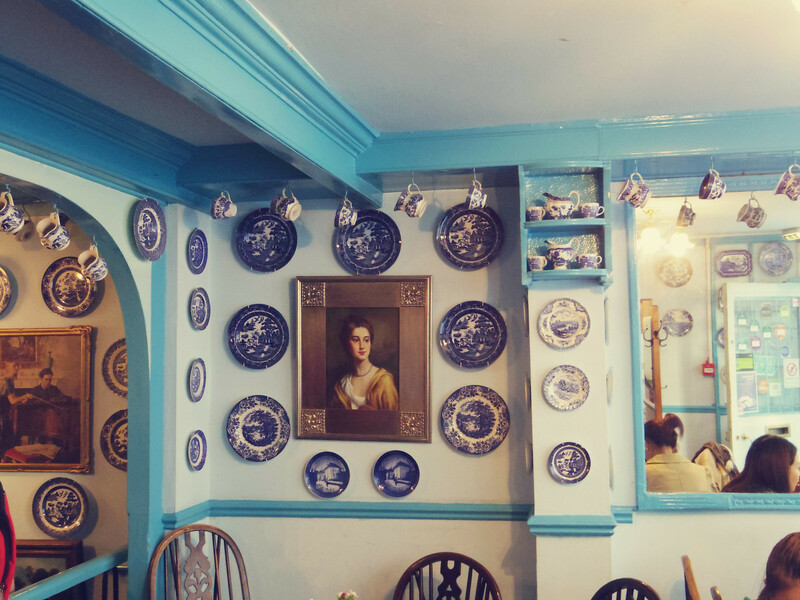 This tearoom looks so quaint and charming! Definitely going to keep this in mind for whenever I visit Brighton. That's really interesting - I googled semla and now I want to eat one - both ways! The Cafe looks so lovely, I really adore the decor. If I go back to Brighton I will definitely think about going there! This place is my heaven. I could spend hours in there!! 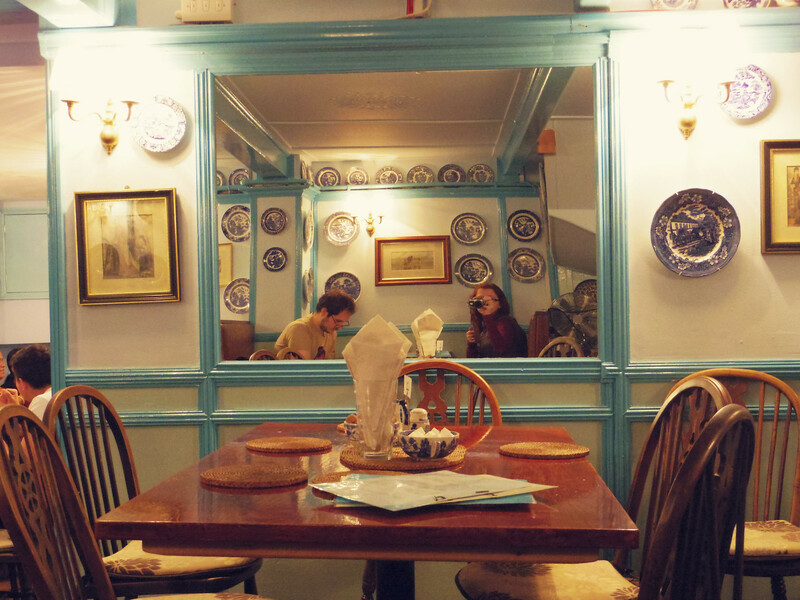 Wow what a gorgeous little tea room - I love how it's decorated - from the plates to the vintage cash register, so cute! And all that cream - mmmm. Personally i'm all about the jam first then lots of cream piled up! Yes that's how I do it too! 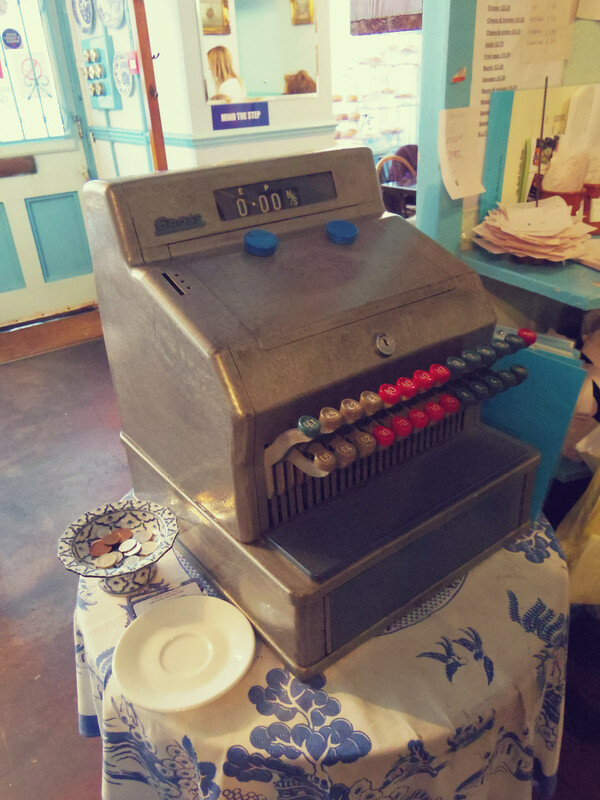 And the best thing about the cash register was that they really used it - it wasn't just for display! Aaah, is your name Cornish?! That's awesome! I'm Devon though I've never thought about doing it the other way, maybe next time I have scones I will experiment ! I never knew there was a rivalry, and there is nothing in Australia I can think of ... Well aside from the "who made what" argument between Australia and NZ. That place looks so cute and just amazing. All the decor, especially the till is right up my alley. Yeah I can't think of any similar rivalries in Australia, although I am sure there must be - and you're SO right about the AUS/NZ thing! I see that as being very similar to the rivalry between France and the UK. How pretty! I've always found myself eating scones with the jam spread on first then a dollop of cream on top, but I never knew there were particular ways of doing it. Guess its Cornwall method for me then though, cream just never seems to spread right! Wow, that is such a gorgeous place. It's lovely just to be in there and take in the decor. I love it, it looks like a cozy, quaint place. lol at it was twee before twee came into style! Haha! It is definitely cosy and pretty quaint, but the fact that it has lasted this long means there must be something about it that feels up-do-date and relevant. It looks delightful! I've never been to Brighton, hoping to make my way down there one day soon though, it looks so cute and lovely not to! Yees, you should visit! The top floor (ground floor) of The Mock Turtle is pretty much wheelchair accessible as far as I remember! Wow! Everything is so stunning. I've never been to a restaurant with a vintage theme/ambiance. The food looks delicious. Your post made me so hungry. Haha! :) Hope I can visit this place someday. Thanks for sharing this. I will definitely add this on my to-go/adventure list. Have a great day! Haha, yeah the meringues are amazing! I should have mentioned them - they're so giant! I wish I could hear your grandpa getting heated about scones! Oh my gosh this place looks fantastic! Oh I am dying to go! I live in America but now I am dying to go to this cute little place! 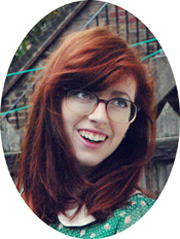 Adorable post... love your blog! I would love to visit this place! Looks amazing! What an adorable little tea room :) is it wrong to prefer scones with just jam?! Love it! Looks like such a fun place to visit!